Crazy Faith. Radical faith even. World-changing faith. That is what I want. Is it more important that I be loving? Yes. I Cor. 13 teaches me that love is the most important Christian trait of all. 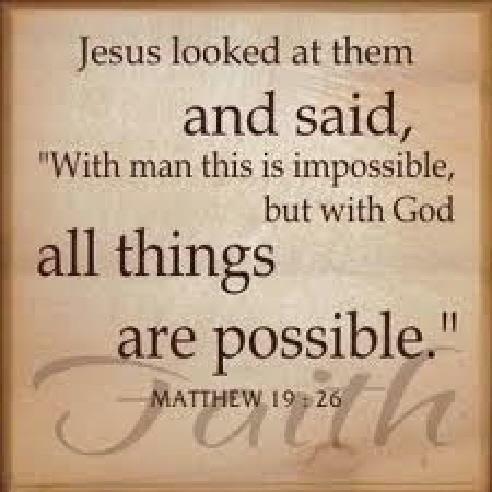 But that doesn’t mean we shouldn’t also want the other good things the Bible tells us are possible to obtain. For many years, I had faith in God–that He existed, that He was faithful, that He was amazing. But there are levels of faith I wasn’t exposed to until many years after my salvation experience. When I became deathly sick in 2000 with a mysterious ailment that doctors couldn’t even diagnose, I learned a new level of faith. 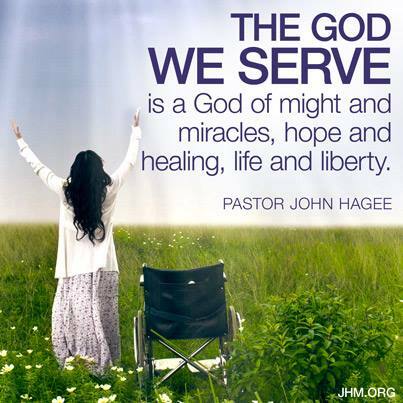 I had believed that God COULD heal, that God SOMETIMES healed–IF it was His will. But through those dark years of sickness, I came to believe that it is absolutely His will to heal–no question or doubt in my mind. I can’t find one example of someone Jesus refused to heal in the Bible. If He took the stripes for our healing, then it was for all Christians, because the Word says He is no respecter of persons. WILL everyone be healed? No. In the same vein of thinking, WILL everybody be saved? No. Yet the Bible tells us it IS His will that none perish and that all be saved (II Peter 3:9 and I Timothy 2:3-4). Is healing a Heaven or Hell issue? Goodness, no. You can enter those pearly gates just as easily having died of cancer as if you simply died of old age. But let’s don’t go there. That’s a whole different subject. Let’s talk about crazy faith. Now, the scholars will chime in to say that we must ask according to God’s will. I agree. 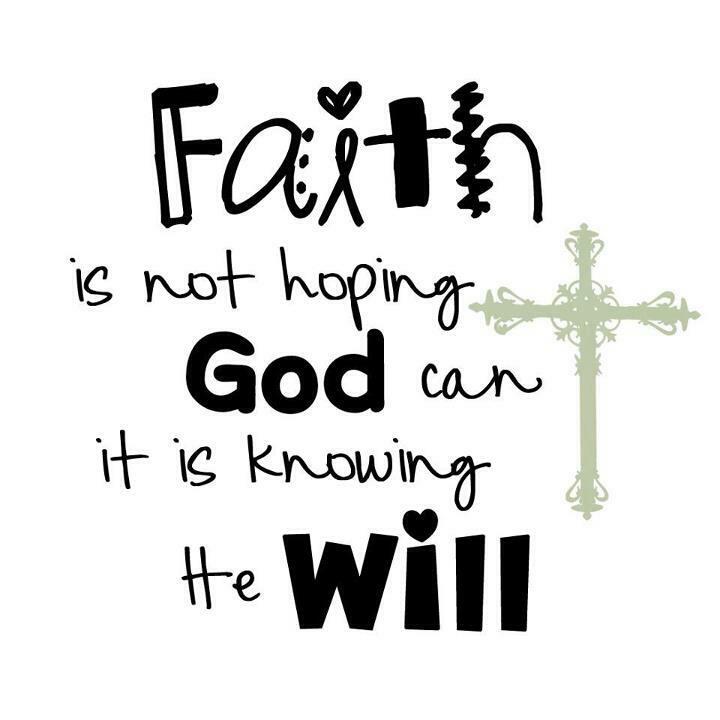 James 4:3 says “You ask and do not receive, because you ask amiss.” So when I ask something that I know by the Word is God’s will, then I believe that I receive, that it won’t be impossible, that it WILL come to pass. I can find very few people who will stand with me in this kind of faith. I’m talking about the Luke 11:5-10 kind of “knocking in importunity” faith that doesn’t give up, the Luke 18:1-8 faith that faints not and continually cries for manifestation to take place. 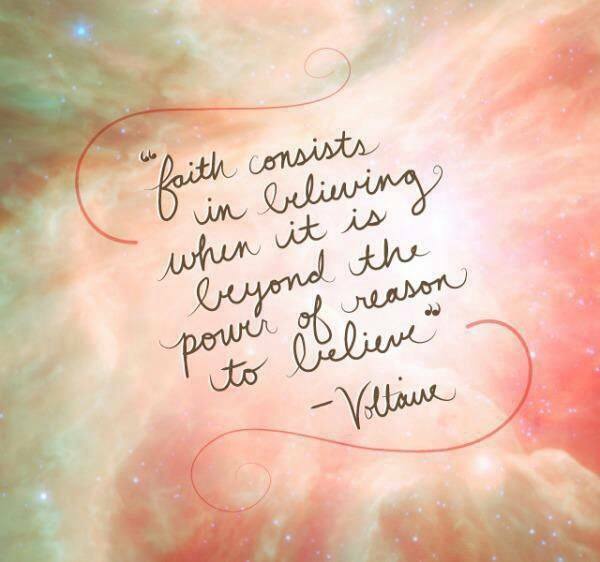 If we only believe when we see results, then is that faith at all? Last night my water pipes froze in this record-breaking Arctic blast we’re experiencing, despite my dripping water faucet that I left on all night and despite my heated house and well-house. At first, the water seemed to be running okay. The hubster had just gotten into the shower after coming home at 8:30 a.m. from his third-shift job and had just soaped up his face when the water suddenly stopped flowing. I suppose the little water that came out at first was what was in the pipes already before the freeze stopped the flow closer to the well-house. So like many others, there we were without water, with the danger of ruptured pipes and with a forecasted high of 22 in the cities south of us, which meant down in my shaded valley of Danbury, it might hit 19 degrees as tops. Not much chance of thawing out. The poor hubster–already tired from working overtime through the weekend–ended up downstairs in our freezing cold basement, using a hairdryer on the pipes unsuccessfully, using a space heater on them to no avail. He finally gave up and turned the little heater off. We put our EdenPure heater downstairs in the early afternoon and hoped it would help a bit. All morning and into the afternoon, I waited to hear the drip of water begin from the turned-on faucets in the kitchen and nearby bathroom. But not a sound nor a drip came forth. I felt something rise up inside me. “I refuse to believe that,” I replied. “Well, it is what it is, Leslie,” he answered in a very negative voice. “Well, I believe we can lay hands on those pipes and command that water to flow,” I declared. “Then do it,” he challenged me. I sat there a minute and realized I was rather angered by his pessimistic attitude and approach. I knew I didn’t need to go lay hands on the pipes in my present state of mind. (Or rather, my wrong state of HEART!) “I will shortly. And you’ll see a miracle,” I said, not arrogantly but confidently. I began to feel more sympathetic toward him, but at the same time, my faith rose up, and I began to preach. Yes, preach. I preached by the Spirit with tears, power and anointing for over half an hour, maybe much longer. I spoke the Word from II Cor. 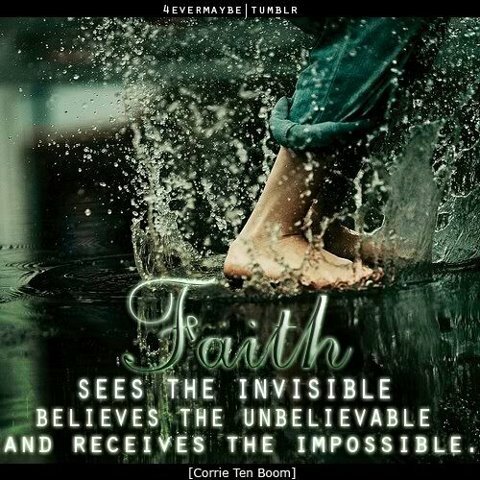 5:7 “For we walk by faith, not by sight” and from all over that Bible, including the Scriptures I mentioned above. I testified of how radical faith makes us look crazy to the world–daring to say we are healed when we still manifest symptoms of sickness, stepping out to proclaim no lack even when the bills are past due. Why? 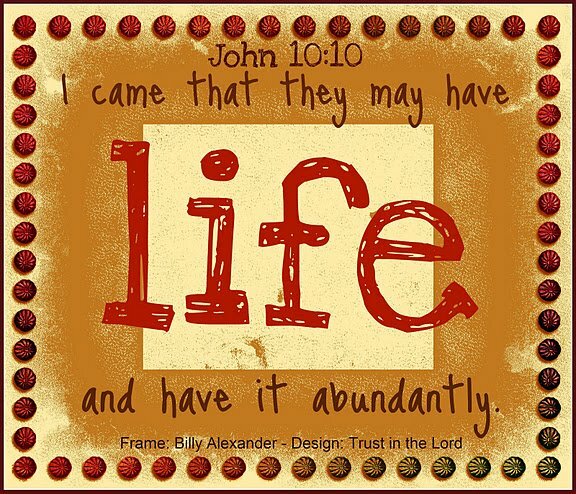 Because His Word says that He wants His people whole, that He is able to do exceedingly abundantly above all that we can even ask or think, that He came to give us life and life more abundantly, that it is a Godly desire to prosper and be in health even as our souls prosper. “Well, it’s pretty hard to rejoice and have faith when you ain’t got a sheep in the stall or a crop in the fields,” the hubster remarked drily. That humble man of God hugged me and walked out the door to go up the street to get us a hearty meal–our occasional Tuesday treat. I got up from the couch to use the toilet, not even minding the thought that it hadn’t been flushed in many hours of use. As I walked into the bathroom where there still wasn’t even the faintest drip of water from the open faucet, I realized that I was now totally at peace. The frustration/semi-anger that so often blocks faith and healing prayers was gone. AS SOON AS I SAID THE LAST WORD, water burst forth from the faucet like lava erupting from a volcano, like a fountain springing up in the desert. It didn’t begin with a drip or a trickle; it was an immediate stream of water flowing forth! And I’m not talking about a five-second delay, like on television. I’M TALKING TO-THE-SECOND IMMEDIACY! The last word left my mouth, and in the same second, the water gushed out in obedience. I screamed in joy and began to praise God loudly! With shaking hands, I grabbed the phone and called the hubster. He didn’t answer. Within a few minutes, he pulled in, and I ran to throw open the door–cold air and all! “Alan!” I cried. “We’ve had a miracle! Come see!” His eyes wide, he hurried in and saw the kitchen faucet running, with fresh, pure water coming forth. Before I could even tell him the story, his eyes filled with tears. “Tell me exactly how it happened!” he urged me, following me into the bathroom so that I could reenact the story. He listened and cried, wiped his eyes and listened again, then he began to praise God with me, tears streaming down his face. “I could almost believe that He let the water freeze to build my faith and reassure me that He can do ANYTHING,” Alan speculated. Our rejoicing went on throughout the afternoon. The scoffers will say that it was the heating of the day (yeah, it was up to a blistering 15 degrees at that point) or the EdenPure heater that did the trick. Maybe they helped. But you’ll never convince me that the water literally GUSHING FORTH at the EXACT SECOND that I commanded it to was a coincidence. 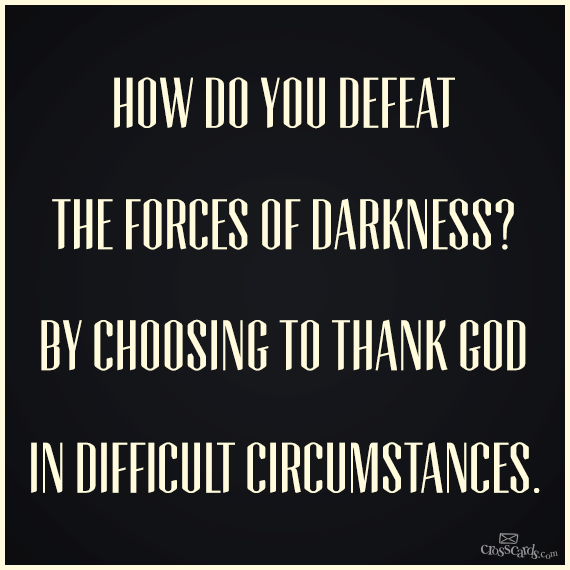 I choose to give all of the glory to God who can do ANYTHING according to His will. I hate the term “Bible-thumper” that is used derogatorily against Christians today, but I will admit that I did pat the Word emphatically a few times during my preaching today to stress that if the Bible says it, then it’s true–no matter what circumstances may imply or what negative symptoms are being manifested. I refuse to back down on the veracity of His Word. I will believe that healing is His will, no matter how many times we battle sickness around our house, no matter how many times my prayers seem of no effect. His Word cannot lie. WE are imperfect and can fail or fall into unbelief, but HIS WORD IS TRUE NONETHELESS. Radical faith. Crazy faith. Faith that the lost world mocks you for, that even some Christians scoff at you for, that many whisper about you behind your back for. That’s the faith I want. 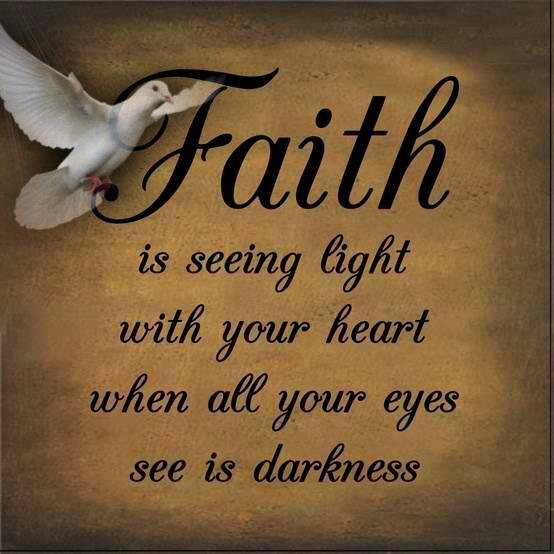 Faith to raise the dead, see blind eyes opened, have food multiplied in times of lack, walk on water if need be. Yep, that’s the faith I want. If the world is gonna call us crazy anyway, we might as well be crazy indeed–CRAZY ABOUT JESUS!